It is not exactly shocking that those screaming for a horror movie to banned didn’t look deep enough to discover a Santa slasher film already exists…why do your research when you can just join the baying mob? 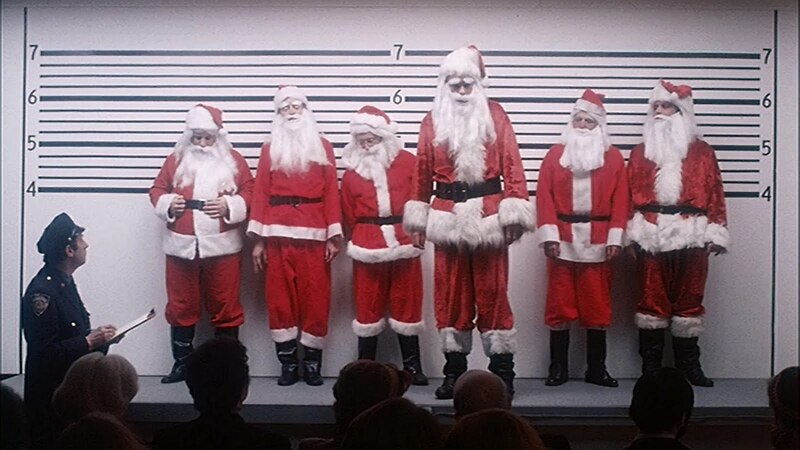 Christmas Evil or You’d Better Watch Out was released a whole 4 years before Silent Night, Deadly Night & while doesn’t reach the heights of that movie it is extremely enjoyable in its own right. 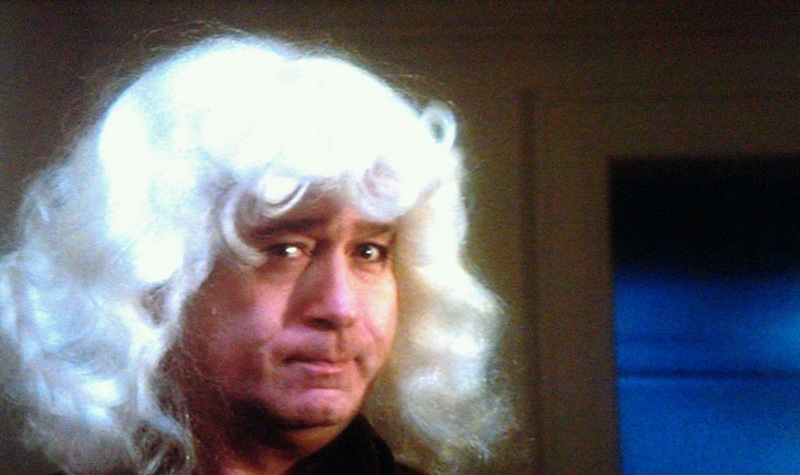 Its Christmas Eve & Harry witnesses his mother getting touched up by Santa (his father unknown to Harry). Disturbed & upset Harry runs upstairs & smashes one of his snow globes cutting his hand in the process. 33 years later & Harry has a disturbing fascination with Santa & Christmas. He works at the Jolly Dreams toy factory in a thankless position but at home takes on the role of the true Santa Claus (in his head). 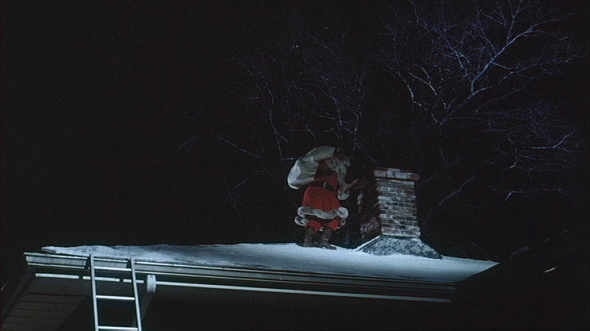 From the roof of his home he spies on children & decides if they’ve been naughty or nice. Creepy behaviour but it hasn’t gone beyond that just yet. 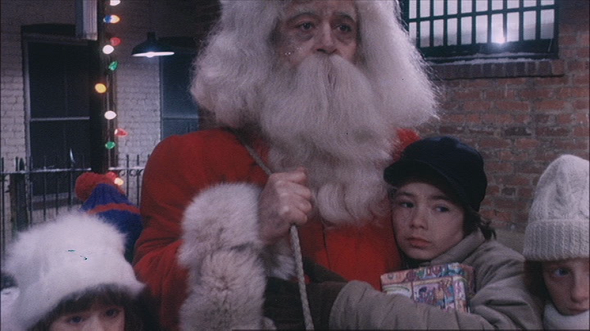 If there is one reason to love this movie, it is for its violence, Christmas Evil has it in spades & you can’t help but feel that Harry is somewhat justified at times. Oh & the batshit crazy ending that just rounds off a wonderful experience. The acting is mostly so-so & there are a few things that will raise an eyebrow, like why are his parents doing that in the living room in full view? It’s easy to overlook just for the fun of a man dressed as Santa delivering presents then killing people in their bed. Not the best Christmas themed horror movie but one that does it with a bit more tongue in cheek. It’s a fun watch & one that sticks with you afterwards particularly the ending.